This was going to be the start of a big, fat English Summer, well, I at least had to believe so. This would be the first time I would live in a foreign country and being in a new land meant I had to do what I do the best. After all the hiccups and dilemmas, I finally get on road, a small foot into the bigger world and what better place could I choose to start with!? 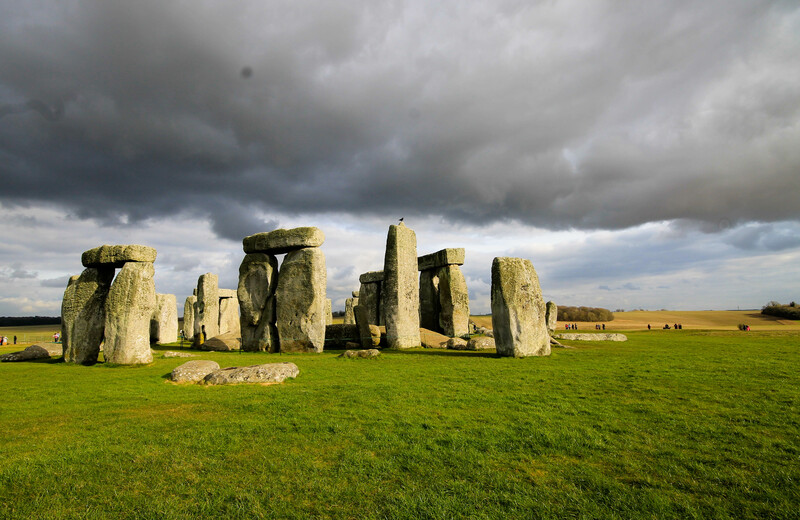 On that windy, chilling morning i set out on my first road trip in the UK from Birmingham to the South, to a place that has been making people jaw drop since time immemorial, to the very site where the mighty stone pillars stood, to the Stonehenge. Stonehenge needs no introduction. It is without doubt, one of the most photographed and recognised structures in the world, though some people recognise it as the windows screen saver! This amazing, mysterious, older than time, stone circle stands tall in a field by the M in the Salisbury plains. The view is free even if you are whizzing past on the motorway as the Stonehenge is on a raised ground. But if you would like to immerse yourself into the mysteries and curious stories behind this astonishing structure then head to the National Heritage office by the road, by an £8 ticket, pick the complimentary audio guide and walk into the very fenced area which houses the Stonehenge. Though you can’t get up close & personal to the stones, you can still walk in a circular path about 50mtrs away around it and that’s the closest public is allowed to. This megalith sure hides a plenty of mysteries from why, who, when and how was it built! Given the time of its construction and their sizes of mammoth proportions, it was no mean task for sure! The nearest source of such stone from this location being at around 250kms makes it even more interesting puzzle. One of the stories say, long time ago, these stones were arranged in same pattern in a field in Ireland and the great grandfather of King Arthur had them replaced here to commemorate one of his war victories. There are also beliefs that ‘you can never count the stones twice and arrive at the same number’, ‘whoever counts the stones of Stonehenge will die’ or ‘to count the stones was to tempt the power of the devil’. The Druids, inhabitants of this region from the early ages believed in existence of another world and one of the folklores say that these hanging stones, that look like doorways were nothing but the gateways to the other world. Amidst all speculations, Stonehenge will definitely stand as one of the architecture marvels for centuries to come! Not far from Stonehenge is the famous cathedral of Tewkesbury, in the village of Tewkesbury that almost submerged in the floods couple of years back. Cathedral Church of the Blessed Virgin Mary in Salisbury, is an English Gothic styled cathedral from 1220 AD. Apart from being a historic place of worship, this former monastery is the second largest parish church in the country and also has Britain’s tallest tower and spire. The Abbey is blessed with some extraordinary architecture, particularly the interiors and the wonderful. The Abbey has a gloomy past when King Edwards VI’s men killed the Lancastrian soldiers who took refuge in the abbey during the Battle of Tewkesbury. 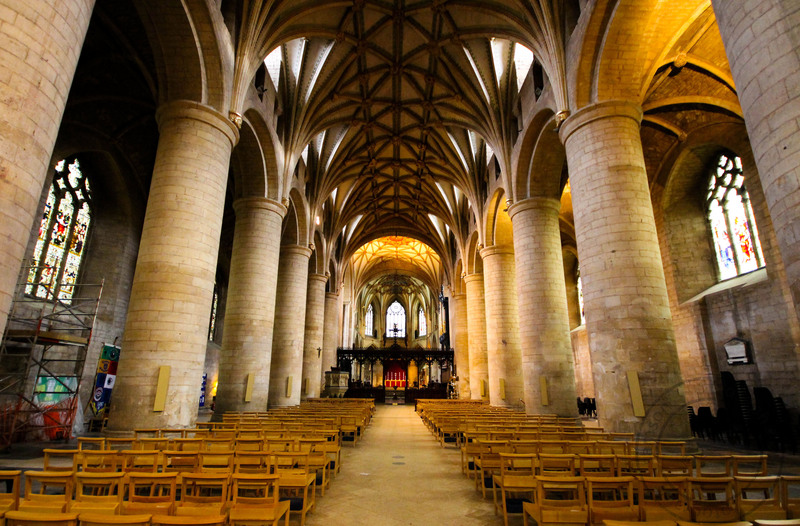 The churches and cathedrals in England had to go through the disastrous period of Dissolution of the Monasteries (1538-41) and the people of Tewkesbury saved the church by paying Henry VIII £459 for the property. Henry also sold eight bells to the parish for £142 (most monastic bells elsewhere were melted down to make cannons for his warships).The organ here needs a special mention. It is believed to be the oldest organ in the UK still in regular use and was once played by the poet John Milton. It was a great day out combining these slices from the history. Both of them continue what they have been doing for centuries, Stonehenge making people marvel at it and the abbey of Tewkesbury, showering plenty of blessings. 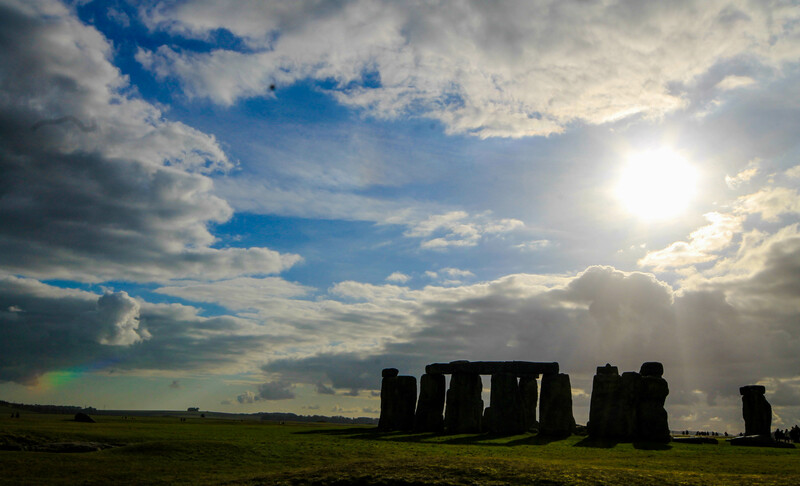 I was 45 minutes away from Stonehenge just last week… Wish I had taken the effort to visit it. Especially after I read ‘you can never count the stones twice and arrive at the same number’. Challenge accepted. But then I deflated as I read ‘whoever counts the stones of Stonehenge will die’. Hahaha! Either way, I still LONG to see it. Oh well, next time.